To foreigners, Peruvians, and many Limeños alike, San Juan de Lurigancho is merely an underdeveloped, overcrowded, and unsafe district nestled into one of the peaks on Lima’s perimeter, called el cerro San Cristobal. Their exposure to the district is often limited to glimpsing its distant multi-colored homes from the center of Lima or driving through the area in order to reach the summit’s iconic cross, la Cruz del Cerro San Cristobal, where panoramic views of the city await. In fact, San Juan de Lurigancho is home to a staggering one million of Lima’s nine million inhabitants, making it the city’s most populous district. Contrary to popular belief, it encompasses not only the famed San Cristobal hill but also the multiple Santa Rosa hills and several urban areas scattered in between. The district’s neighborhoods vary so much that many of its residents have even petitioned to turn San Juan de Lurigancho into its own province. 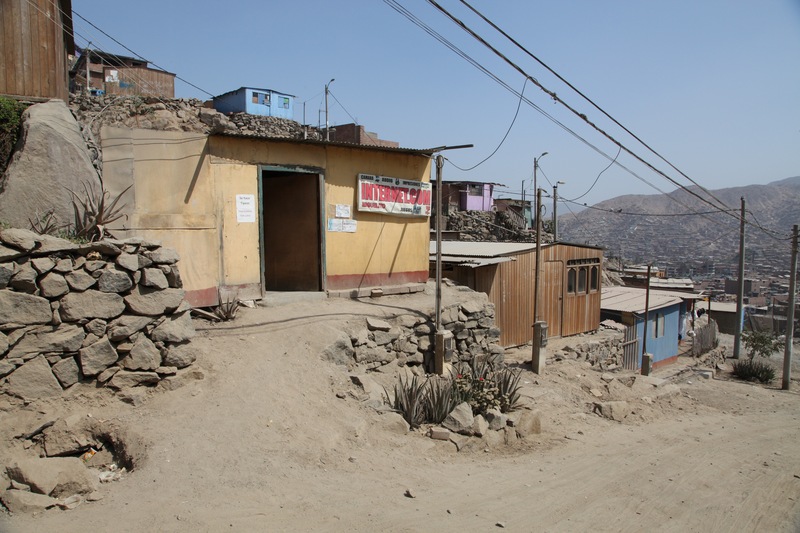 Unfortunately, however, San Juan de Lurigancho is one of Lima’s poorer districts and although the metropolitan neighborhoods within it have experienced relative economic growth, the residential areas in the hills have been largely left behind. 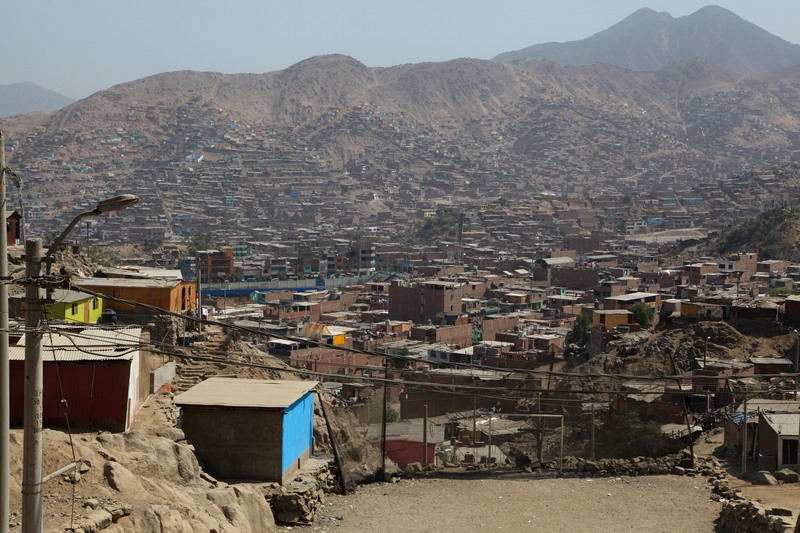 For many of Lima’s struggling informal sector population, makeshift dwellings in these steep arid hills are the only affordable housing option. Such was the case for Miguel, a Kiva borrower we visited on a characteristically hot afternoon in one of the cerros of San Juan de Lurigancho. 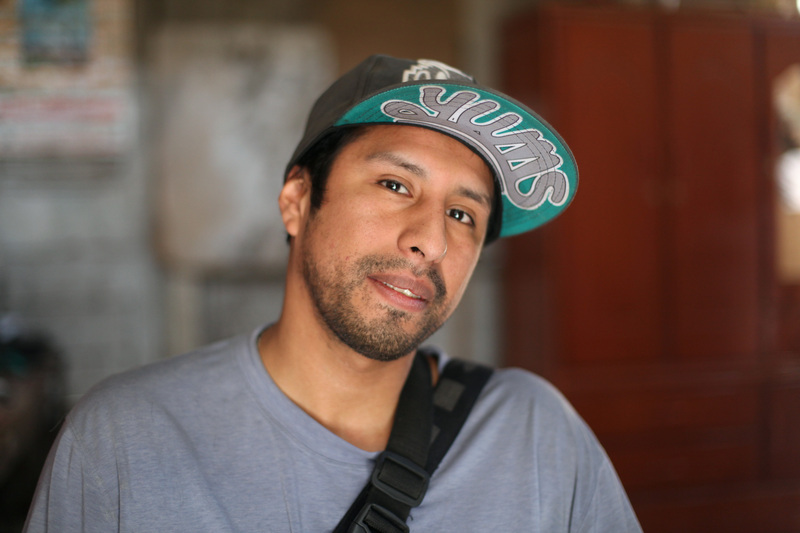 When Miguel moved to the hills of SJL from the more central Callao district five years ago, his home didn’t have electricity or running water. He sums up that unpleasant period of his life with “Todo era oscuro,” or “All was dark”. But it was the unfortunate series of events that led to this move that really made this time in his life unimaginably challenging. As a high schooler living in the center of Lima, Miguel was a particularly gifted athlete that dreamed of playing professional soccer. His father urged him to go to college but he insisted on following his dream until an ill-fated kleet kick to the knee ended his career. Ever the optimist, Miguel pursued his second passion by enrolling in culinary classes in Callao. One night as he was leaving an ATM, he was accosted by two muggers and woke up in the hospital three days later. Doctors told him he had been shot in the spine and wouldn’t walk again. It was then that he moved to the cerros of SJL with his mother where he spent two years consigned to a bed in a deep depression. He became disillusioned with the people he had previously considered friends because they failed to visit him or offer support, though he was surprisingly comforted by the kindness of strangers. Still, he lost a significant amount of weight and his muscles began to atrophy. After two lonely years, however, he had the good fortune of meeting a doctor who took a pronounced interest in his recovery. She ran a clinic named after her late son, whose name Miguel shares, and often climbed the steep hills to care for him, even gifting him a wheelchair to facilitate his mobility. 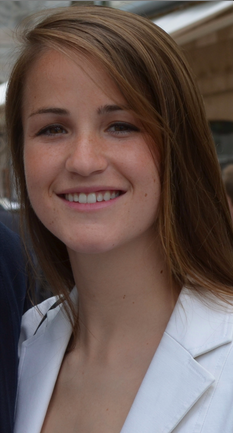 Most importantly, she encouraged him to admit himself to a rehabilitation center where Miguel benefited greatly from physical therapy and structured activities that kept him busy. His time there marked a turning point in his physical and mental recovery. After he was released and moved back to SJL with his father, he insisted on being a productive member of the family that contributed to his household’s finances. 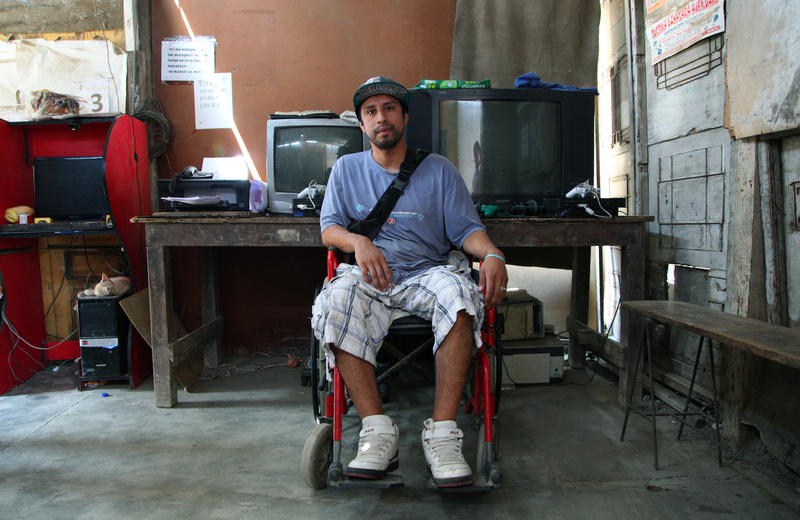 Demonstrating enormous business acumen, Miguel decided to open the first cyber café in his area of San Juan de Lurigancho by borrowing computers from his sister, who previously owned her own internet café in the center of Lima, and others. As he slowly started to pay the computers off with Kiva loans, he expanded his business to include printing services and video game usage. Today, Miguel owns and personally maintains seven computers, a few printers, a tv for video games, and sells beverages and homemade ice popsicles to clients. He organizes regular FIFA video game tournaments to socialize with friends and neighbors and is highly dedicated to his physical therapy, understanding that his physical and mental health are paramount to his long term recovery. Although his established business has already allowed him to achieve comfortable living conditions, he’s constantly looking to innovate, expand, and provide an even more financially stable future for him and his aging father. He astutely recognizes that the demand for internet café services will become obsolete as handheld access to the internet increases and is already looking to invest in other projects to supplement his income and enable a smooth business transition in the future. Miguel’s positive attitude and professional accomplishments despite the obstacles are impressive in and of themselves, but almost even more admirable is the unparalleled service he provides to his community. 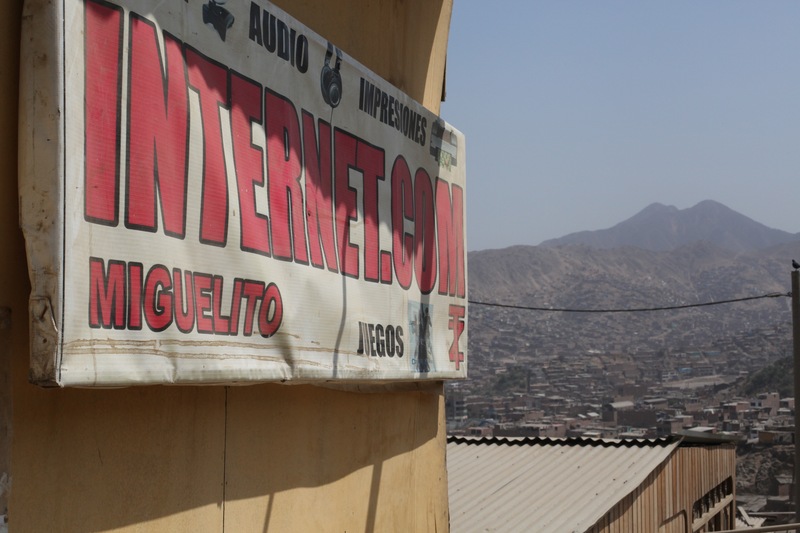 As the only communication hub in a digitally disconnected area, Miguel’s cyber café not only helps bridge the socio-economic opportunity gap for his clients, but also fosters community enrichment, support and engagement. During peak after work/school hours, residents of all ages flock to his locale to complete work, print schoolwork, surf the web, play videogames or just chat and enjoy ice pops. The cyber café even acts as a supervised afterschool center keeping teens, who are required to provide notes of permission from their parents to use the facilities for long periods of time, out of trouble. 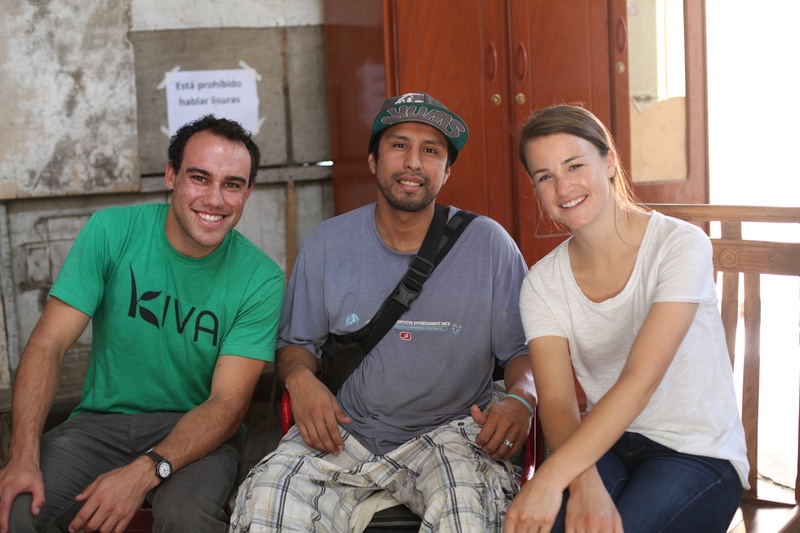 After Miguel told us his story, we were overwhelmed with admiration for how far he had come since his accident and proud that Kiva was playing a part in helping him achieve his evolving ambitions. He gave us a tour of his business and showed us how he protected his computers from the abundance of sand and dust on the hills. On our way out, he lovingly introduced us to his black cat, who was peering at us from behind a monitor. I mentioned that I personally believe cats are, antithetically, a good luck omen. He responded by saying he did not believe in bad luck. And as we looked back at him in surprise, he winked.